In 1983, the U.S. Navy planned to replace their BQM-34 Firebee and MQM/BQM-74 Chukar targets with a new subscale variable-speed training target. At that time the designation YBQM-126A was reserved for the new target. Beech proposed the Model 997, a derivative of the MQM-107 Streaker family. The Model 997 first flew in March 1984, and Beech was awarded a contract for full-scale development of the BQM-126A in 1985. The BQM-126A was externally very similar to the MQM-107D Streaker, except that twin endplate fins replaced the MQM-107's single vertical tail. This was done to reduce the overall height of the target, thereby simplifying carriage beneath the fuselage of aircraft for air-launches. It was powered by a Microturbo TRI 60-3 Model 097 (J403-MT-400) turbojet engine. With the help of a solid-propellant rocket booster, the BQM-126A could also be launched from land and ships, and the target was recoverable by parachute over water and land. It had a digital autopilot and a radio command system for both preprogrammed and fully ground-controlled missions. The target could be equipped with the usual payloads like radar, IR and visual augmentors, scoring devices and countermeasures. It could be used for surface-to-air, air-to-air and ship-defense missile evaluation and training. 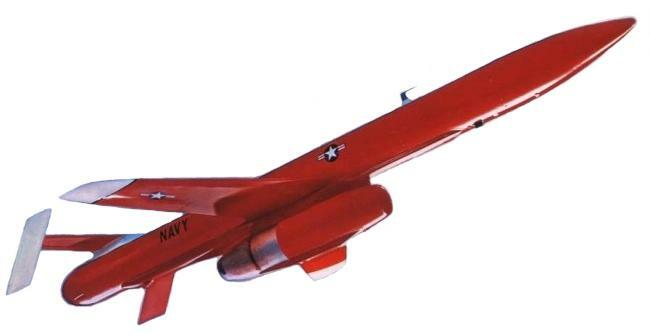 The U.S. Navy originally had plans to procure up to 700 BQM-126A targets. However, the whole production program was cancelled, presumably because of lack of funds.